You put your kitchen floor through a lot. Between spills and drips, heat and dropped utensils, as well as the constant plod of feet, the flooring in this space has to be able to handle multiple hazards and look good while doing it. Not every material is well suited for this location, and some materials will will last longer, with less maintenance, than others. Balancing style, function, and comfort is the key to making the right choice. These seven different flooring materials are good options to consider. 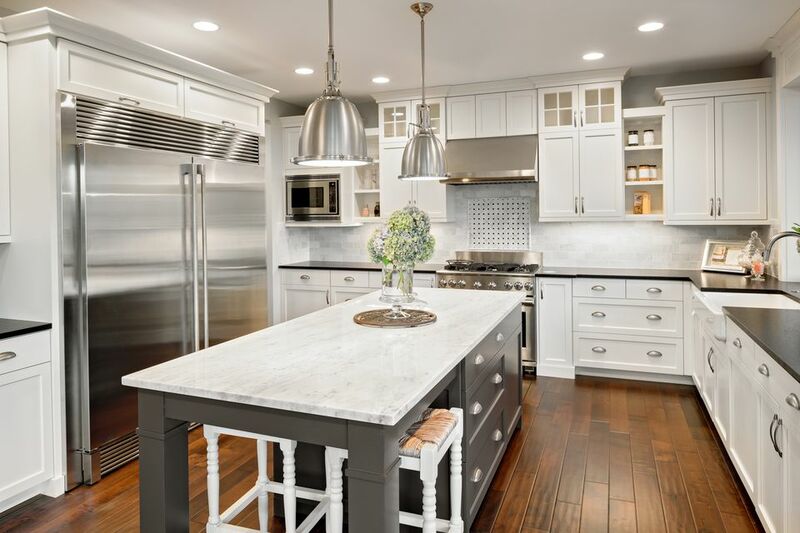 Hardwood is by nature a very durable flooring material in most areas of the home, but it has limitations in any areas susceptible to moisture—and that includes kitchens. For many years, hardwood was considered a poor choice for places such as bathrooms and kitchens, where moisture is an issue. However, hardwood flooring is undergoing something of a renaissance as a kitchen flooring material, thanks to modern sealers and polyurethane finishes that make it much more durable and long-lasting. Still, any hardwood flooring, whether solid hardwood planks or engineered wood flooring featuring a hardwood veneer, is more susceptible to problems with moisture and stains than other flooring materials. With hardwood flooring in a kitchen, you are going to see the material change and degrade somewhat over time. As spills and splatters occur, there will be inevitable stains. However, some people like the aged look of a well-used hardwood floor, finding the personality in the defects to be better than its original perfection. And with solid hardwood flooring, you always have the option of sanding and refinishing the floor to make it look brand-new once more. Similar to hardwood in look and feel, bamboo is actually harder than hardwood, and its manufacturing process makes it more resistant to moisture and water damage. It is an increasingly popular choice for kitchens since it is considerably more durable than wood. The drawback to bamboo is that it is somewhat more expensive than hardwood. And it is harder to refinish it because there is no natural grain direction to the material. While refinishing may be possible, it will usually require the assistance of a professional. Ceramic tile, a material made from natural clay that is shaped, glazed, and fired under heat, is an extremely durable flooring material that very hard and impervious to water and stains. Ceramic tile—including porcelain—is resistant to heat and breakage, and under normal conditions, it can last indefinitely with little change to its appearance or function over time. Ceramic tiles are also available in numerous colors, faux natural patterns, as well as sizes, shapes, and even mosaics, giving you a wealth of design options. Drawbacks to ceramic tile? It can be somewhat cold building material underfoot, though this can be remedied with a radiant heating system installed beneath the tiles. Some people also find ceramic tile to be too hard, though this can be addressed with area rugs. If you have a ground level kitchen then concrete can be another inexpensive and long-lasting option for you. In some cases, a concrete slab will already be in place beneath existing floor coverings. This surface can then be polished, stained, or treated in a variety of ways to make it a very stylish and attractive flooring for the kitchen. If there is not a slab already available then a new pour can be done over a variety of subfloor surfaces. Concrete floors are especially appropriate in modern-style kitchens. Drawbacks include some of the same issues as are found with ceramic tile: Concrete floors are somewhat cold and may be too hard for some tastes. And appreciation for the look of concrete is not shared by everyone—a concrete kitchen floor can sometimes be a drawback when it's time to sell your home. Here is a flooring material that is hard as rock. Natural stone actually is rock, making it a durable, long-lasting flooring solution for the kitchen. Natural stone flooring options include marble, granite, slate, limestone, travertine, and sandstone. Natural stone makes for a very luxurious-looking floor; granite and marble, in particular, have an attractive veining that creates a floor that is completely unique in appearance. Natural stone floors generally are a plus when it comes time to sell your home, since they signal luxury. 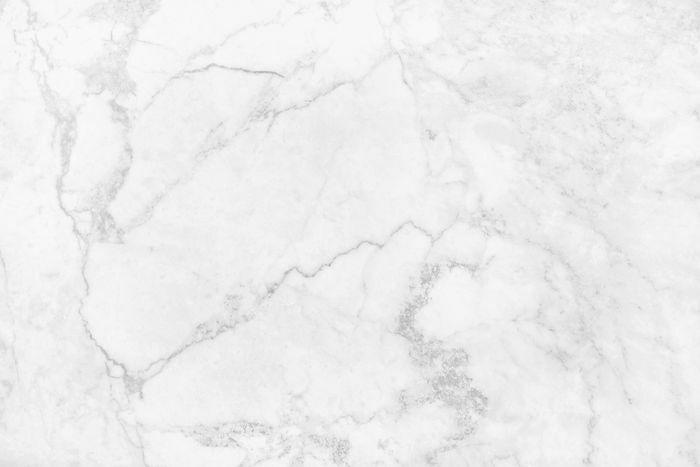 The drawback to stone is that it is porous and is therefore susceptible to water and liquid stain penetration, a common problem in the kitchen. However annual application of a quality penetrating stone sealer can create an invisible coat of protection over the stone, preventing these issues. The sealer will, however, need to be reapplied regularly. Different types of stone will have different properties as far as hardness, scratch resistance, and long-term durability. Slate and granite, if properly sealed and maintained, can easily last for decades. Travertine and sandstone are more likely to wear over time, but can still last for many years. Marble, especially polished marble, will be the quickest to degrade with scratches and stains. Linoleum is a material that was very popular in kitchens 50 years ago, and it is making a comeback today. Made from all natural linseed oil, linoleum is environmentally friendly, easy to clean and maintain. If properly cared for, an installation can last for upwards of 40 years. The drawback to linoleum kitchen flooring is that this material is susceptible to damage if it is immersed in water. During normal everyday use it should be fine, but if a flood occurs from an appliance breaking or a pipe bursting, then the entire installation can be ruined. You also have to avoid low-quality bargain basement linoleum options, as they can curl when faced with humidity. Vinyl is one of the easiest and most versatile kitchen flooring solutions. This man-made manufactured material is nearly impervious to stains, damage, and water issues, and cleaning it is as easy as keeping it free of debris with sweeping, vacuuming, or regular mopping. Some vinyl manufacturers will offer warranties on this material that run up to 20 years. In truth, while this material sometimes does last that long, it usually begins to wear and fade after about 7 to 10 years of active use in a kitchen. But vinyl is among the most inexpensive and DIY-friendly of all flooring materials. It is a very good choice for many kitchens, especially those that see a lot of family use. Expect to replace it every decade or so. Modern versions of vinyl flooring, commonly known as luxury vinyl flooring (LVF) is a high-quality flooring material that is now available in styles that mimic wood or stone in a remarkably convincing way. While older forms of sheet vinyl or vinyl tile have a reputation for being a "bargain" flooring, luxury vinyl is by no means a low-quality product; it is now found in many upper-end homes. Luxury vinyl is available in both snap-together tiles and planks.